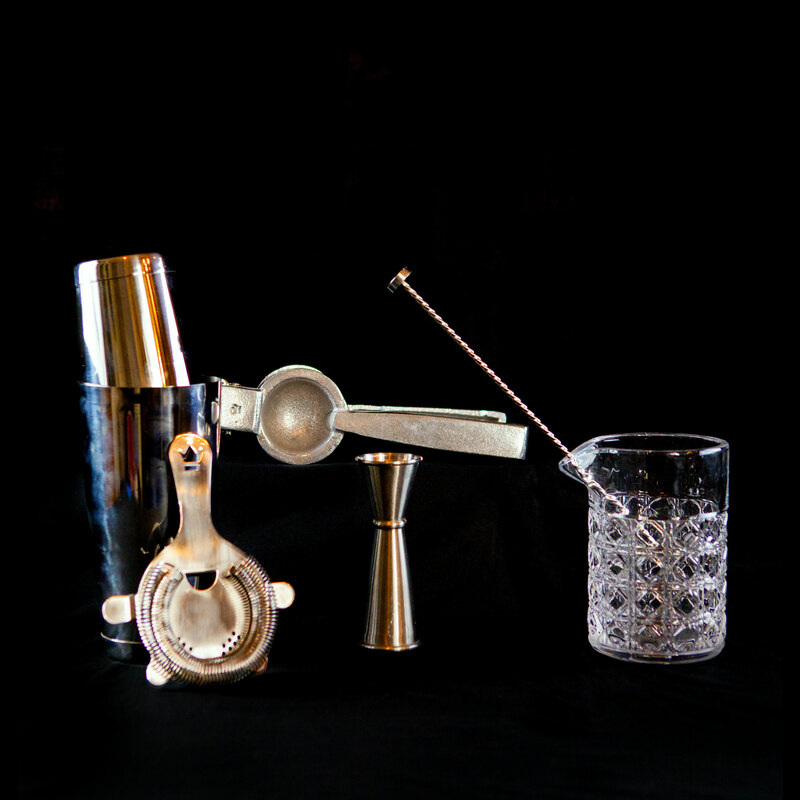 Our very own high-quality barware set of tools from Cocktail Kingdom, personally selected by Shaker & Spoon to get you mixing like a pro. Our essential barware set includes all the necessities and gives you the tools to create 90% of Shaker & Spoon recipes (approximately!). Set includes: a Boston shaker (top and bottom), strainer, mixing glass, weighted bar spoon with muddler, citrus juicer, and of course a really nice double-sided Japanese jigger with inner markings. These tools retails for $100.